Canada’s credit bureaus calculate credit scores on a scale from 300 to 900. One person can have more than one credit score: TransUnion and Equifax use their own proprietary scoring models and may not have the same information about you at the same time. Your score will change as your credit report is updated with the latest information. The higher your score, the more likely you are to be approved for credit and get the best mortgage rates. 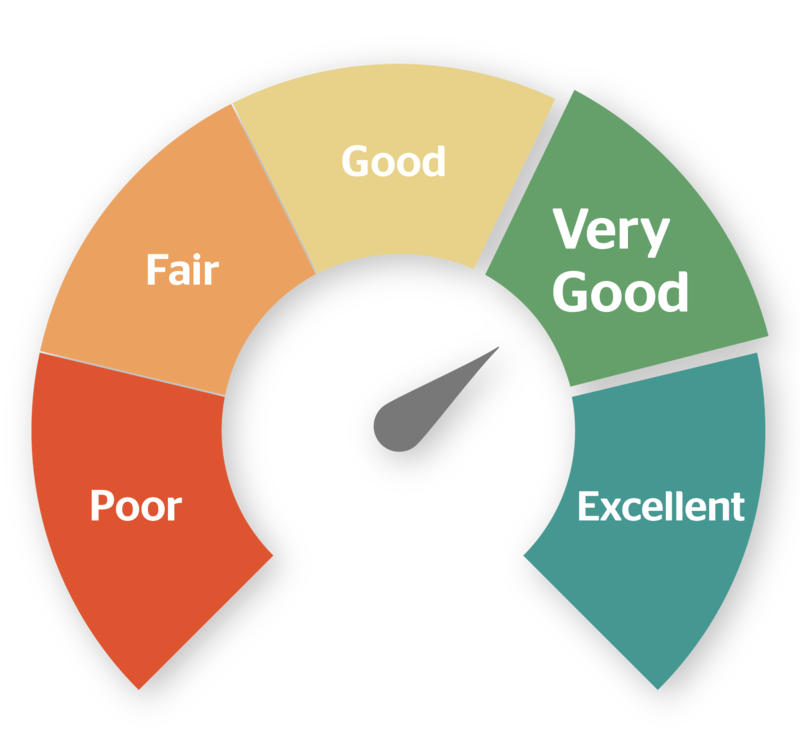 Insurance companies also increasingly rely on credit scores as an indicator of risk, although the practice is banned in Ontario and Alberta for auto insurance, and in Newfoundland and Labrador for auto and personal property insurance. It pays off to know your score, track it, and understand how it affects your financial options. Remember, checking your own credit score is considered a “soft inquiry” and will not hurt your score or appear on your credit report. 760+: Excellent—Congratulations, you’re considered the cream of the crop and will be offered the lowest interest rates and best terms on mortgages, loans, and lines of credit. You have a long history of using credit responsibly, have a mix of different types of credit, consistently repay your debts on time, and keep your account balances low. 725 to 759: Good—This score signifies to lenders that you generally make most of your payments on time, and your credit balances are relatively low compared to their limits. You’ll still qualify for good rates almost anywhere. The only thing holding you back may be that your balance-to-limit ratio is slightly too high. 660 to 724: Fair—You represent a default risk because you’ve hit a few financial speed bumps: late payments, too much debt, or an account in collections. Creditors may give you a loan, but will charge you higher interest rates and may require a deposit or collateral. You’ll need to do some work to improve your score. 560 to 659: Poor—A score in this range flags you as high risk, so you’ll experience great difficulty obtaining new credit. If you’re approved for a loan, you’ll have to pay exorbitant rates. Your score may be damaged by late payments to more than one lender, loan defaults, or bankruptcy. If you fall into this category, consider talking to a credit counsellor. 300 to 559: Very poor—Scores in this range are rarely approved for anything. If your credit is this poor, you shouldn’t be applying anyway. Employers who check credit likely won’t hire you, and landlords will probably reject your application for rental housing. To repair your credit, you should focus on reducing your debts, paying off any accounts in collection, making payments on time, and switching to a secured credit card to rebuild your credit profile. You should definitely seek the professional help of a credit counsellor. It’s possible to have a credit score of zero if you’ve never opened any kind of credit account, or if all your accounts are closed or inactive and have fallen off your report after several years. If you have little or no credit history, getting approved can be difficult because lenders have no way to measure your level of credit risk. Don’t keep yourself awake at night obsessing over how to squeeze an extra point or two into your score. If you’ve borrowed responsibly in the past, you shouldn’t have a problem obtaining credit in the future. Your credit score is important, but it’s not the only thing a lender will look at. It’ll also examine your employment history and income, assets, savings, and debt-to-income ratio.